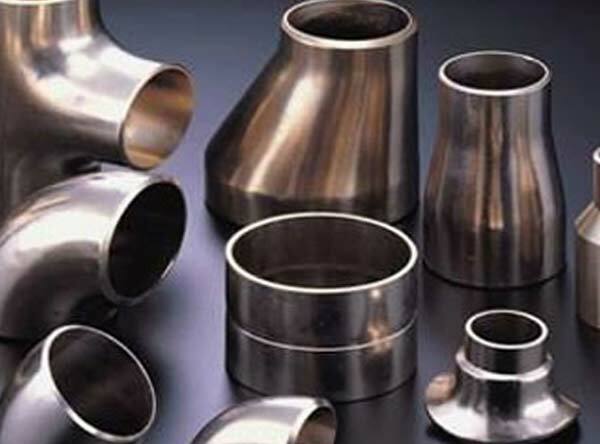 Titanium Grade 4 Pipe Fittings, Titanium UNS R50700 Pipe Fittings, Grade 4 Ti Welded Pipe Fittings, Titanium Grade 4 Seamless Pipe Fittings, Titanium Alloy Gr 4 Pipe Fittings Elbow, manufacturer, Suppliers, Exporters, Mumbai, India. Titanium Grade 4 Pipe Fittings are available at Calico Metal Ind Pvt Ltd Corporation for supply and export in vast industrial areas. Being an authenticate titanium grade it is widely accepted under high-pressure environments. Structurally and mechanically sound grade of titanium it offers the best resistance to corrosion and cracking. Its wide features make these pipe fitting grade 4 a great choice for industrial users. There is a lot to offer from our side apart from high quality, good customer service. We deliver best performance products with fine finish and durability.